If you're tired of your home's old windows and are thinking of replacing them, it's important to purchase replacement windows that match the style of your home. 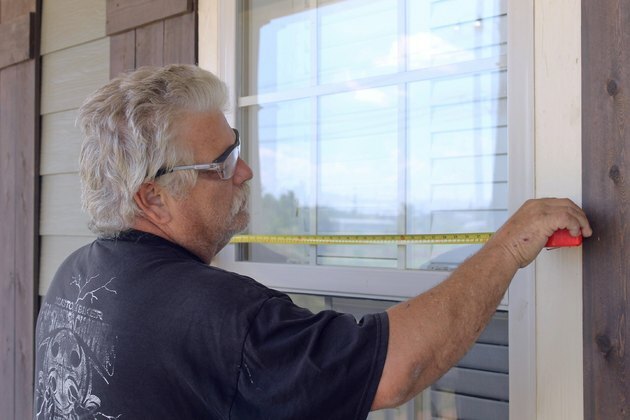 Even more important than style and energy efficiency, however, is being able to properly measure the window opening to buy the right size replacement window. Determine whether or not you're using a rough opening or installing the windows inside the existing window frame. 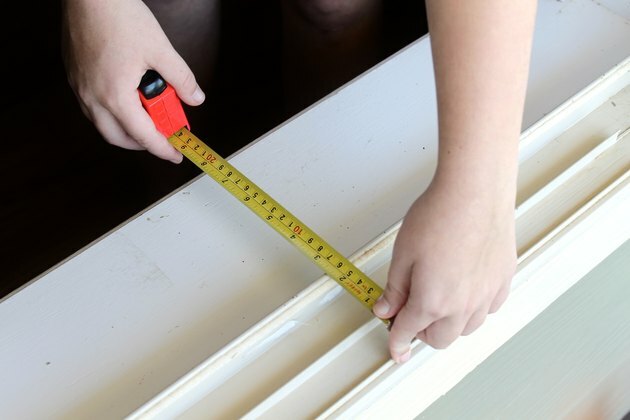 It's easier to measure the rough opening with the total removal of the old window, but it usually can be done by removing window trim. 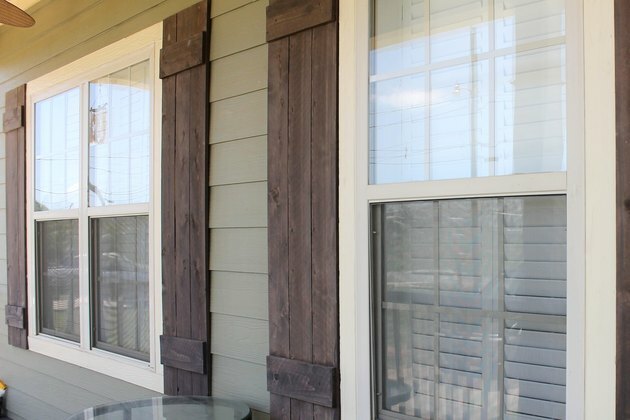 Not all replacement window sizes are readily available at local home improvement stores. You may have to wait several weeks for the manufacturer to make a window to fit your replacement window measurements. Measure the width of the window. The best way to do this is to measure the window opening at three points. 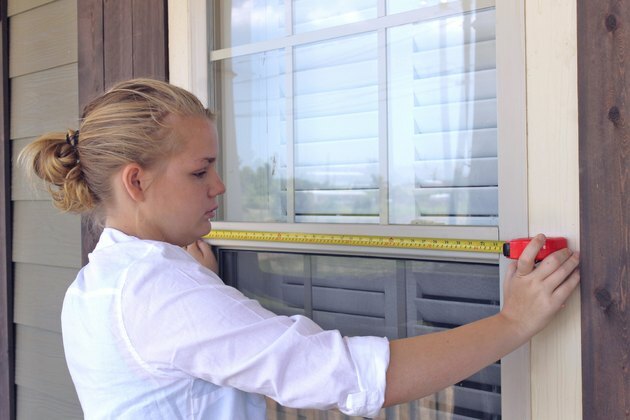 Measure the topmost width of the window frame, the middle and then the bottom. 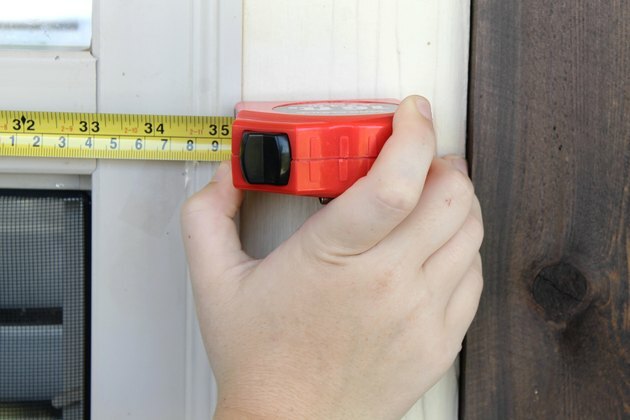 Although an untrained eye may not notice if the window opening is not perfectly parallel and equidistant, your tape measure can detect uneven openings. Evaluate the height of the window opening. Similar to measuring the width, measure the height. Depending on the width of the window, measure the window height at no less than two points, from the sill to the top of the opening. If it's a wide opening, measure in three points, the two sides and the middle. Determine the smallest of the width and height measurements. 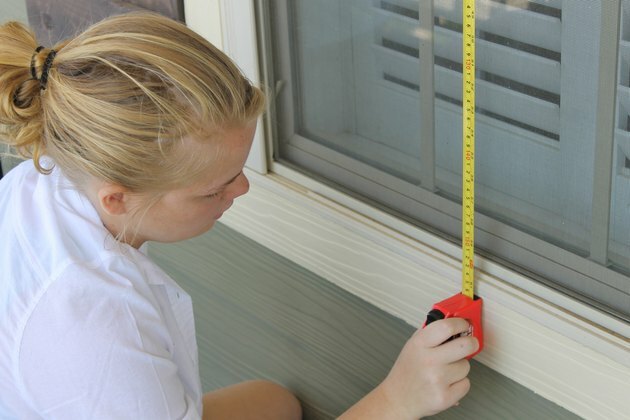 If the window width or height varied by up to 1/2 inch, use the smallest of the height and width window measurements. It's much easier to fill the gap with shims than it is to enlarge a window opening because you ordered replacement windows 1/2 inch too large for the opening. Determine the depth of the wall, from the inside trim to the outer stop strip, to order your replacement windows. Seek a second opinion. 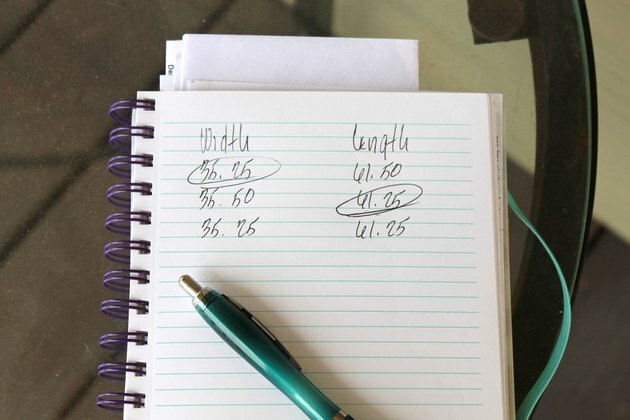 If you're not sure if your measurements for the replacement are correct, it's best to get a second opinion to confirm or correct your measurements.